Whetu Tirakatene Sullivan was Labour MP for Southern Māori for 29 years. Whetu was known not only for her long service as an MP, but also for her bold and stylish fashion sense. 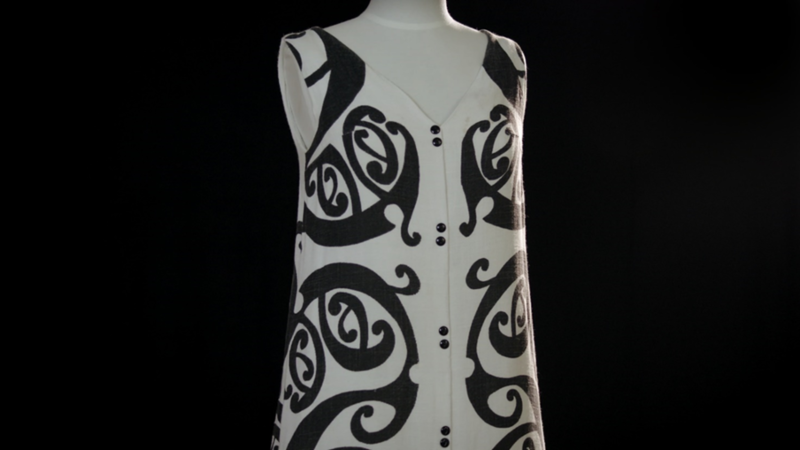 To her, clothes were a means of portraying a political message and also a way to promote Māori aesthetic and design. Whetu was well known for wearing flowing kaftans, stylish twin sets, Māori motif and bold colours. She stood out brilliantly in the Parliamentary world of grey suits. The mangopare dress was worn by Whetu and its underlying meaning was a reference to struggle without end, because a hammerhead shark is known to die fighting. This design related very much to the Māori struggle for justice and redress.